1. 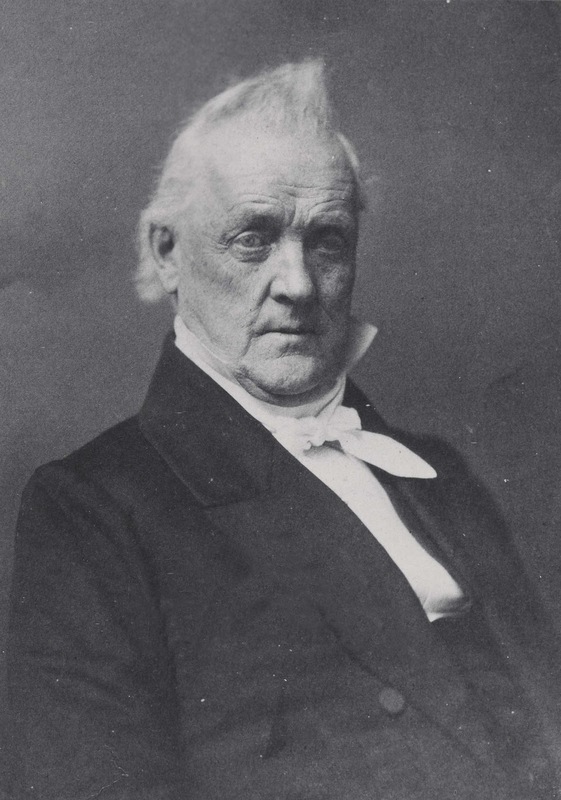 James Buchanan was born in a Pennsylvania log cabin in 1791, one of eleven children born to his parents. His father, also named James, was an immigrant from Ireland and was a well-respected businessman and farmer. Buchanan attended Dickinson College in the early 1800's, and after being expelled for bad behavior (which included heavy drinking, "cigar smoking," and practical jokes), he was later allowed to return and eventually graduated with honors in 1809. 2. Buchanan studied law after graduating from college and became a member of the Federalist party. He served in the defense of Baltimore during the War of 1812, and was also active in the Freemasons. 3. Following the end of the war, Buchanan served at term in the Pennsylvania legislature, then moved on to the U.S. House of Representatives, where he served from 1821 to 1831. Following the collapse of the Federalist party in the 1820's, Buchanan joined the new Jacksonian party, which would eventually come to be known as the Democratic party. After serving a brief stint as the U.S. Minister to Russia, he returned to the States to fill a vacancy in the U.S. Senate in 1834. He remained in the Senate until 1845, when he resigned to become Secretary of State under James K. Polk. 4. During his tenure as Secretary of State, he turned down an offer to become a justice for the U.S. Supreme Court, and instead focused his attention on negotiating the Oregon Treaty with Great Britain, which ultimately settled a long-standing dispute regarding territorial ownership in the Pacific Northwest. The present border between the state of Washington in the U.S., and British Columbia in Canada, was established by this treaty. To date, Buchanan is the last Secretary of State who eventually became president. 5. Following his tenure as Secretary of State, Buchanan returned to diplomacy, serving as the U.S. Minister to Great Britain. Because he was overseas for much of the early 1850's, he was not involved in the divisive political debates that occurred during that time, most notably the highly controversial Kansas-Nebraska Act. This set the stage to make him a solid compromise candidate for the 1856 presidential election. 6. Though he did not expressly seek the nomination of the Democrats in 1856, he knew his name was being floated by a number of high-ranking officials in the party, and when the nomination was finally cemented at the convention, Buchanan accepted. He faced two opponents in the general election: former president Millard Filmore, now running as a member of the extremist Know Nothing party, and John C. Fremont, running as the first presidential candidate of the new Republican party. The Know Nothings and Republicans split their vote, and Buchanan won the election, marking the last time (to date) that a Democrat has won the presidency following directly on the heels of another Democratic president (in this case, Franklin Pierce). 7. Buchanan is the only president in U.S. history who never married. His neice, Harriet Lane, whom he had adopted at age 11 following the deaths of her parents, served as White House hostess during Buchanan's presidency. 8. Buchanan's presidency was marked by immense partisan strife over the issue of slavery. Buchanan attempted to take a middle ground approach in an effort to appease both sides, but the result was that both sides felt alienated and viewed Buchanan's leadership as weak and vascillating. He had promised not to run for re-election, and he kept true to that promise in 1860, retiring to his home in rural Pennsylvania. On his last day in office, Lincoln's inauguration day, Buchanan famously told him: "If you are as happy in entering the White House as I shall feel upon leaving it, you are a happy man." 9. Much speculation has been made about Buchanan's sexual orientation, with the majority of modern experts convinced he was unquestionably gay. He had been engaged early in life, but his fiancee broke off the engagement due to neglect, dying very shortly thereafter. Following this, Buchanan vowed to never marry, and instead lived for many years in Washington with Alabama Senator William Rufus King, who became vice-president under Franklin Pierce. Rumors abounded about their relationship, and they were jokingly referred to by other congressmen as "Buchanan and his wife." Following both men's deaths, their personal correspondence to one another was destroyed by their surviving family members, leading to even more speculation about the nature of their relationship. 10. Buchanan died in 1868 of respiratory failure, having published his memoirs a few years earlier - the first president to do so. 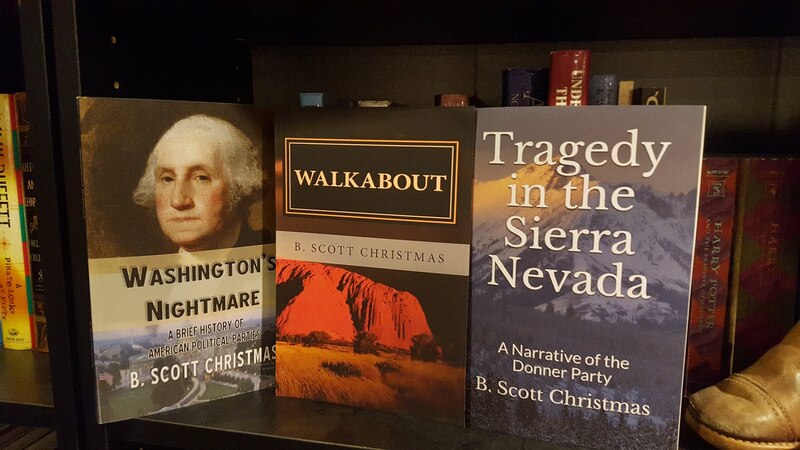 In those memoirs he defends himself and his choices in office, particularly his highly criticized choice to do essentially nothing about the seccession of the southern states following the 1860 election of Abraham Lincoln. He predicted that history would vindicate him, but to this day, he is generally ranked by historians among the worst of U.S. presidents. Thanks for the read! Enjoyed it a lot! You neglected to mention that he apparently popularized the mohawk among the non-indigenous folk. Very informative. I think I actually learned something today. Thanks. Glad you liked it Cassie!